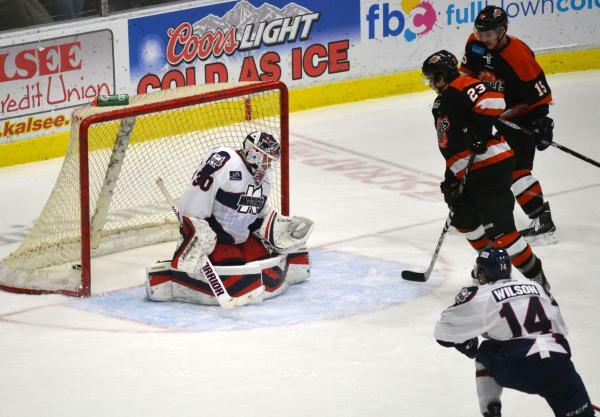 First, Kalamazoo goaltender Oscar Dansk got caught out of position but dove back into the goal to rob the Komets' Brett Perlini on this shot. 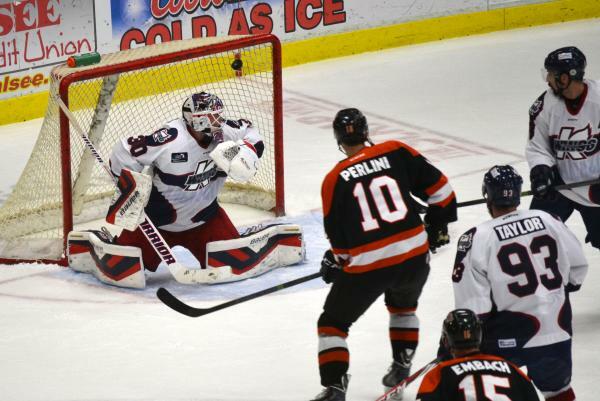 Then Shawn Szydlowski scored on this thing called a power-play goal. Then Fort Wayne's Garrett Meurs hit a knuckleball that drove Dasnk nuts as he swung and missed with his glove. Komets lead 3-1 and lead in shots 35-14.